Ear itching is a tickling, irritating sensation accompanied by the persistent need to scratch your ear. Redness, swelling, soreness, flaking and scarring may occur in the area of itchiness. The medical term for itchiness is pruritus. Although scratching may temporarily relieve your symptoms, it can cause more irritation or lead to an infection. With most cases of itching, it is best to refrain from scratching and leave the area alone to heal. Itching can be a symptom of ear infection. A common ear infection is otitis externa, commonly known as swimmer’s ear, which can occur when moisture remains in the ear after swimming or other exposure to water. Other possible causes of ear itching include insect bites, contact allergies, and trauma. Wounds that are healing often start to itch as a sign of improvement. Chickenpox, an extremely common childhood illness, is accompanied by red, oozing blisters that cause intense itching. Eczema, contact dermatitis, scabies, and ringworm are other sources of itching. Itching that is sudden, severe or unusual should be evaluated by your ENT specialist. Itching caused by a serious food allergy can come on rapidly, with a strong need to scratch. This type of itching may be symptomatic of a serious anaphylactic reaction, which impairs breathing; causes swelling,fainting and vomiting; and is considered a medical emergency. Ear itching may have many possible causes, including allergens (agents that cause allergies), infections, autoimmune disorders, or other causes, such as Stress. 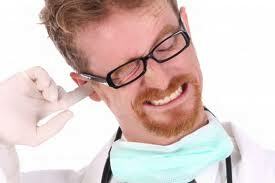 If you have itching of the ear, call us for a prompt appointment with Dr. Dagan to rid you of that itch!